"Who knew there were so many babies & cats in the world?" Disney has revealed another full-length official trailer for the animated sequel Ralph Breaks the Internet: Wreck-It Ralph 2, following the second trailer unveiled in June. Arriving in theaters in only two more months! 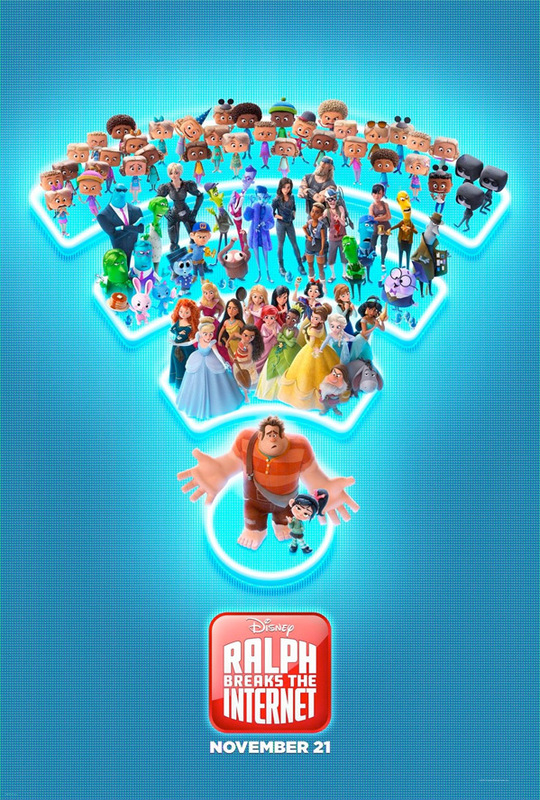 John C. Reilly returns as the voice of Ralph, the "bad guy" who is really a good guy, from the first Wreck-It Ralph movie released in 2012. This time he follows Vanellope, voiced again by Sarah Silverman, into the internet and there they meet the "netizens", getting in all kinds of trouble and, as the title says, they wind up breaking the internet. The full cast features Taraji P. Henson, Kelly Macdonald, Kristen Bell, Mandy Moore, Alan Tudyk, Jane Lynch, Idina Menzel, Jack McBrayer, Jodi Benson, as well as Gal Gadot. The more we see from this sequel, the better it looks! I'm really impressed by this footage, it seems like a super fun time at the movies. You can watch the first teaser trailer for Disney's Wreck-It Ralph 2 here, or the other full-length trailer here.